The SEA TECH & FUN sarl Company hereby warrants the SPADE anchor against breakage that may occur to any part of the anchor. · The anchor has not been abused, misused or improperly taken care of. The anchor must be sent back, ONLY AFTER AGREEMENT with the SEA TECH & FUN sarl Company, with a Return Merchandise Authorisation number, a copy of the original invoice and a picture of the defective anchor. The shipping costs in both directions are at the charge of the customer and are not covered by the guarantee. Under no circumstances, The SEA TECH & FUN sarl Company can be liable for any direct or indirect, incidental or consequential damage from the sales or use the anchor. 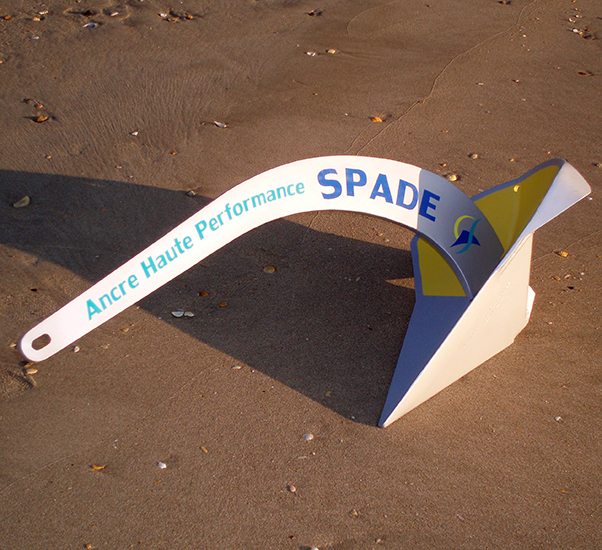 SATISFACTION GUARANTEED – FULL REFUND WITHIN 6 MONTHS : The SPADE Customer may return his anchor to the manufacturer for a period of Six months from the date of original purchase accompanied by the original invoice, if he is not fully satisfied for ANY REASON. Shipping cost is not covered by this warranty.